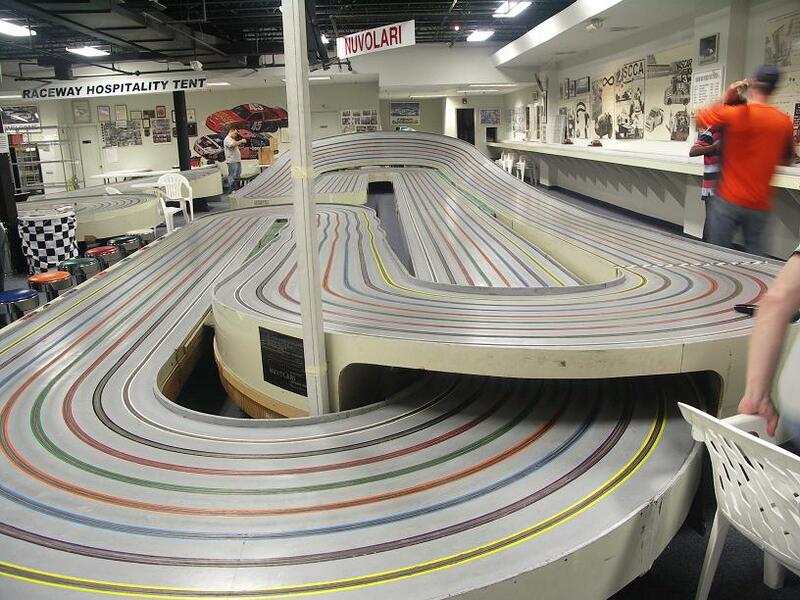 The Nuvolari, one of the oldest, most famous and most challenging slot car tracks in the world, is getting some badly needed repairs. Bumps and dips are being smoothed, and two turns, deadman's and Hoyt's corner (after the driver's straightaway) are being entirely replaced. A high power capacitor was added in spring of 2009. This brought the track power up to a steady 13.7 volts. This has reduced lap times by about 1/2 second for open blueprinted S16D wing slot cars - to about 6.3 seconds for the best cars and drivers. Here are some photos to help you gentle readers at home follow the process. Smooth out bump before the bank and strip the copper from the turns to be replaced. Never Forget those families, friends and world citizens who were affected by the tragedy of September 11, 2001. I'll not dwell on it here, but I ask anyone who reads this to say a prayer to your God for healing and respect. Time to let the paint dry. Lots of different slot cars were run on the track today. We ran modern F1, Retro F1 and Retro GT Coupe, GTP, Group 20, Friday Night Race cars, Hardbody NASCAR, and even our tractor trailer. Many other types were run by many other racers. Reports from Thursday night GTP of 0.2 sec or more better lap times, down to under 7 seconds. Friday Night cars also faster, especially on the middle lanes.